The Three Classes of the Great Perfection (Tib. རྫོགས་ཆེན་སྡེ་གསུམ, Dzogchen Desum; Wyl. rdzogs chen sde gsum) is a revelation of Chokgyur Dechen Lingpa and Jamyang Khyentse Wangpo. 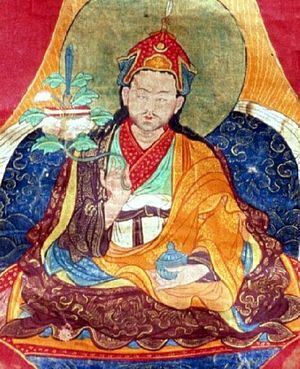 It was revealed in 1857 at Meshö Dzomnang as an earth terma taken from the Lotus Crystal Cave, a cave sacred to Guru Rinpoche. Tulku Urgyen Rinpoche described it as Chokgyur Lingpa's foremost treasure, as it is the only Tibetan terma to reveal all three classes of Dzogchen. This page was last edited on 13 June 2018, at 22:44.